El pelícano pardo (Pelecanus occidentalis) es una especie de ave pelecaniforme de la familia Pelecanidaeque se encuentra en América desde el sur de los Estados Unidos (es el ave símbolo de Luisiana) hasta la Amazonía. The brown pelican (Pelecanus occidentalis) is a North American bird of the pelican family, Pelecanidae. It is one of three pelican species found in the Americas and one of only two that feeds by diving in water. It is found on the Atlantic Coast from Nova Scotia to the mouth of the Amazon River, and along the Pacific Coast from British Columbia to northern Chile, including the Galapagos Islands. The nominate subspecies in its breeding plumage has a white head with a yellowish wash on the crown. The nape and neck are dark maroon–brown. The upper sides of the neck have white lines along the base of the gular pouch, and the lower foreneck has a pale yellowish patch. The male and female are similar, but the female is slightly smaller. The non-breeding adult has a white head and neck. The pink skin around the eyes becomes dull and gray in the non-breeding season. It lacks any red hue, and the pouch is strongly olivaceous ochre tinged and the legs are olivaceous gray to blackish-gray. The brown pelican mainly feeds on fish, but occasionally eats amphibians, crustaceans, and the eggs and nestlings of birds. It nests in colonies in secluded areas, often on islands, vegetated land among sand dunes, thickets of shrubs and trees, and mangroves. Females lay two to three oval, chalky white eggs. Incubation takes 28 to 30 days with both sexes sharing duties. The newly hatched chicks are pink, turning gray or black within 4 to 14 days. It takes about 63 days for chicks to fledge. Six to nine weeks after hatching, the juveniles leave the nest, and gather into small groups known as pods. The brown pelican is the national bird of Saint Martin, Barbados, Saint Kitts and Nevis, and the Turks and Caicos Islands, and the official state bird of Louisiana. In 1902, it was made a part of the official Louisiana seal and, in 1912, a pelican and her young became part of the Flag of Louisiana as well. It has been rated as a species of least concern by the International Union for Conservation of Nature. It was listed under the United States Endangered Species Act from 1970 to 2009, as pesticides like dieldrin and DDT threatened its future in the southeastern United States and California. In 1972, the use of DDT was banned in Florida, followed by the rest of the United States. Since then, the brown pelican’s population has increased. In 1903, Theodore Roosevelt set aside the first National Wildlife Refuge, Florida’s Pelican Island, in order to protect the species from hunters. The brown pelican was described by Swedish zoologist Carl Linnaeus in the 1766 12th edition of his Systema Naturae, where it was given the binomial name of Pelecanus occidentalis. It belongs to the New World clade of the genus Pelecanus. P. o. californicus (Ridgway, 1884) – This subspecies breeds on the Pacific coast of California and Baja California, and south to Jalisco. Its non-breeding range extends north along the Pacific coast to British Columbia, and south to Guatemala. It is rarely found in El Salvador. P. o. carolinensis (Gmelin, 1789) – This subspecies breeds in the eastern United States from Maryland south along the Atlantic, Gulf, and Caribbean coasts and south to Honduras and its Pacific coasts, Costa Rica, and Panama. Its non-breeding range is from southern New York to Venezuela. P. o. occidentalis (Linnaeus, 1766) – This subspecies breeds in the Greater and Lesser Antilles, the Bahamas, and along the Caribbean coast of the West Indies, Colombia, and Venezuela, up to Trinidad and Tobago. P. o. murphyi (Wetmore, 1945) – This species is found from western Colombia to Ecuador, and is a non-breeding visitor to northern Peru. P. o. urinator (Wetmore, 1945) – This subspecies is found on the Galapagos Islands. The brown pelican is part of a clade that includes the Peruvian pelican (P. thagus) and the American white pelican (P. erythrorhynchos). The Peruvian pelican was previously treated as a subspecies of the brown pelican, but is now considered a separate species on the basis of its much greater size (approximately double the weight of the brown pelican), differences in bill color and plumage, and a lack of hybridization between the forms despite a large range overlap. In contrast, hybridization between brown and white pelicans is possible. In 1931, James L. Peters separated the American white pelican and the brown pelican (including the Peruvian pelican) into monospecific subgenera. This separation was also supported by Jean Dorst and Raoul J. Mougin in 1979. The spot-billed pelican and the pink-backed pelican were considered to be sister species by Andrew Elliott in 1992 and Joseph B. Nelson in 2005, and the divergence between the brown and the Peruvian pelicans was found to be the most, in the pelican family. In 1993, Paul Johnsgard hypothesized that the pelicans derived from a south Asian or African ancestor, and spread through northern Asia and Australia before finally coming to North America. This hypothesis would imply that, unless the brown pelican and the American white pelican resulted from multiple invasions of North America, they would be sister taxa. However, trees derived from genetic data disagree. In 1990, Charles Sibley and John E. Ahlquist’s Unweighted Pair Group Method with Arithmetic Mean (UPGMA) tree based on DNA–DNA hybridization data found that the American white pelican, the pink-backed pelican, the great white pelican, and the Australian pelican were sister species, and the brown pelican was the most divergent of all. The brown pelican is the smallest of the eight pelican species but is often one of the larger seabirds in their range nonetheless. It measures 1 to 1.52 m (3 ft 3 in to 5 ft 0 in) in length and has a wingspan of 2.03 to 2.28 m (6 ft 8 in to 7 ft 6 in). The weight of adults can range anywhere from 2 to 5 kg (4.4 to 11.0 lb), about half the weight of the other pelicans found in the Americas, the Peruvian and American white pelicans. The average weight in Florida of 47 females was 3.17 kg (7.0 lb) while that of 56 males was 3.7 kg (8.2 lb). Like all pelicans, it has a very long bill, measuring 280 to 348 mm (11.0 to 13.7 in) in length. The nominate subspecies in its breeding plumage has a white head with a yellowish wash on the crown. The nape and neck are dark maroon–brown. The upper sides of the neck have white lines along the base of the gular pouch, and the lower foreneck has a pale yellowish patch. The feathers at the center of the nape are elongated, forming short, deep chestnut crest feathers. It has a silvery gray mantle, scapulars, and upperwing coverts (feathers on the upper side of the wings), with a brownish tinge. The lesser coverts have dark bases, which gives the leading edge of the wing a streaky appearance. The uppertail coverts (feathers above the tail) are silvery white at the center, forming pale streaks. The median (between the greater and the lesser coverts), primary (connected to the distal forelimb), secondary (connected to the ulna), and greater coverts (feathers of the outermost, largest, row of upperwing coverts) are blackish, with the primaries having white shafts and the secondaries having variable silver-gray fringes. The tertials (feathers arising in the brachial region) are silver–gray with a brownish tinge. The underwing has grayish-brown remiges with white shafts to the outer primary feathers. The axillaries and covert feathers are dark, with a broad, silver–gray central area. The tail is dark gray with a variable silvery cast. The lower mandible is blackish, with a greenish-black gular pouch at the bottom for draining water when it scoops out prey. The breast and belly are dark, and the legs and feet black. It has a grayish white bill tinged with brown and intermixed with pale carmine spots. The crest is short and pale reddish-brown in color. The back, rump, and tail are streaked with gray and dark brown, sometimes with a rusty hue. The male and female are similar, but the female is slightly smaller. It is exceptionally buoyant due to the internal air sacks beneath its skin and in its bones. It is as graceful in the air as it is clumsy on land. The non-breeding adult has a white head and neck, and the pre-breeding adult has a creamy yellow head. The pink skin around the eyes becomes dull and gray in the non-breeding season. It lacks any red hue, and the pouch is strongly olivaceous ochre tinged and the legs are olivaceous gray to blackish-gray. It has pale blue to yellowish white irides which become brown during the breeding season. During courtship, the bill becomes pinkish red to pale orange, redder at the tip, and the pouch is blackish. Later in the breeding season the bill becomes pale ash-gray over most of the upper jaw and the basal third of the mandible. The juvenile is similar, but is grayish-brown overall and has paler underparts. The head, neck, and thighs are dusky-brown, and the abdomen is dull white. The plumage of the male is similar to a fully adult female, although the male’s head feathers are rather rigid. The tail and flight feathers are browner than those of the adult. 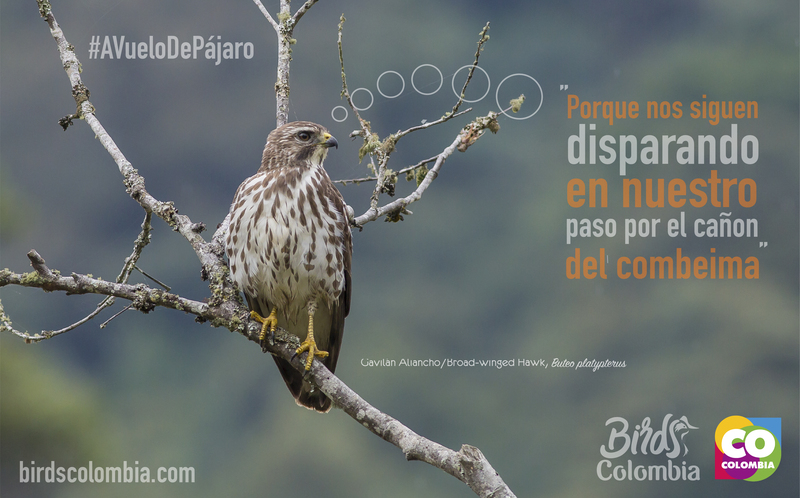 It has short, brown upperwing coverts, which are often darker on greater coverts, and dull brownish-gray underwing coverts with a whitish band at the center. The irides are dark brown and the facial skin is bluish. It has a gray bill which is horn-yellow to orange near the tip, with a dark gray to pinkish-gray pouch. It acquires adult plumage at over 3 years of age, when the feathers on the neck become paler, the upperparts become striped, the greater upperwing and median coverts become grayer, and the belly acquires dark spots. The brown pelican is readily distinguished from the American white pelican by its non-white plumage, smaller size, and habit of diving for fish from the air, as opposed to co-operative fishing from the surface. It and the Peruvian pelican are the only true marine pelican species. The brown pelican produces a wide variety of harsh, grunting sounds, such as a low-pitched hrrraa-hrra, during displays. The adult also rarely emits a low croak, while young frequently squeal. The brown pelican lives on the Atlantic, Gulf and Pacific coasts in the Americas. On the Atlantic Coast, it is found from Nova Scotia to the mouth of the Amazon River. Along the Pacific Coast, it is found from British Columbia to south-central Chile, including the Galapagos Islands. After nesting, North American birds move in flocks further north along the coasts, returning to warmer waters for winter. In the non-breeding season, it is found as far north as Canada. It is a rare and irregular visitor south of the Piura in Peru, where generally it is replaced by the Peruvian pelican, and can occur as a non-breeding visitor south at least to Ica during El Niño years. Small numbers of brown pelicans have been recorded from Arica in far northern Chile. It is fairly common along the coast of California, South Carolina, North Carolina, Georgia, the West Indies, and many Caribbean islands as far south as Guyana. Along the Gulf coast, it inhabits Alabama, Texas, Florida, Mississippi, Louisiana, and Mexico. The brown pelican is a strictly marine species, primarily inhabiting marine subtidal, warm estuarine, and marine pelagic waters. It is also found in mangrove swamps, and prefers shallow waters, especially near salty bays and beaches. It avoids the open sea, seldom venturing more than 20 miles from the coast. Some immature birds may stray to inland freshwater lakes. Its range may also overlap with the Peruvian pelican in some areas along the Pacific coast of South America. It roosts on rocks, water, rocky cliffs, piers, jetties, sand beaches, and mudflats. Most brown pelican populations are resident (non-migratory) and dispersive (species moving from its birth site to its breeding site, or its breeding site to another breeding site), although some migration is observed, especially in the northern areas of its range, but these movements are often erratic, depending on local conditions. Southwards, they are vagrants (found outside its usual range) in Tierra del Fuego. They have been recorded off the eastern coast of Brazil, in Alagoas. Rare inland vagrants, generally caused by hurricanes or El Niño phenomena, have been reported from the Colombian Andes. They were first recorded in July 2009 at the Interandean Valley where they remained for at least 161 days. There are four records far inland in Amazônia Legal along the Amazon River and its tributaries. The brown pelican is a very gregarious bird; it lives in flocks of both sexes throughout the year. In level flight, brown pelicans fly in groups, with their heads held back on their shoulders and their bills resting on their folded necks. They may fly in a V formation, but usually in regular lines or single file, often low over the water’s surface. To exclude water from the nasal passage, they have narrower internal regions of the nostrils. The brown pelican is a piscivore, primarily feeding on fish. Menhaden may account for 90% of its diet, and the anchovy supply is particularly important to the brown pelican’s nesting success. Other fish preyed on with some regularity includes pigfish, pinfish, herring, sheepshead, silversides, mullets, sardines, and minnows. Non-fish prey includes crustaceans, especially prawns, and it occasionally feeds on amphibians and the eggs and nestlings of birds (egrets, common murres and its own species). As the brown pelican flies at a maximum height of 18 to 21 m (60 to 70 ft) above the ocean, it can spot schools of fish while flying. When foraging, it dives bill-first like a kingfisher, often submerging completely below the surface momentarily as it snaps up prey. Upon surfacing, it spills the water from its throat pouch before swallowing its catch.Only the Peruvian pelican shares this active foraging style (although that species never dives from such a great height), while other pelicans forage more inactively by scooping up corralled fish while swimming on the water surface. It is an occasional target of kleptoparasitism by other fish-eating birds such as gulls, skuas, and frigatebirds. They are capable of drinking saline water due to the high capacity of its salt glands to excrete salt. The brown pelican is a monogamous breeder within a breeding season, but does not pair for life. Nesting season peaks during March and April. The male chooses a nesting site and performs a display of head movements to attract a female. At the proposed nest site, major courtship displays such as head swaying, bowing, turning, and upright (standing on its legs without any support) are performed by both the sexes. They may also be accompanied by low raaacalls. Once a pair forms a bond, overt communication between them is minimal. It is a colonial species, with some coloniesmaintained for many years. Probably owing to disturbance, tick infestation, or alteration in food supply, colonies frequently shift. It nests in secluded area, often on islands, vegetated spots among sand dunes, thickets of shrubs and trees, and in mangroves, although sometimes on cliffs, and less often in bushes or small trees. Nesting territories are clumped, as individual territories may be at a distance of just 1 m (3.3 ft) from each other. They are usually built by the female from reeds, leaves, pebbles, and sticks, and consist of feather-lined impressions protected with a 10 to 25 cm (3.9 to 9.8 in) rim of soil and debris. They are usually found 0.9 to 3 m (3 to 10 ft) above the ground. Renesting may occur if eggs are lost from the nest early in the breeding season. There are usually two to three, or sometimes even four, oval eggs in a clutch, and only one brood is raised per year. The egg is chalky white, and can measure about 76 mm (3.0 in) in length and 51 mm (2.0 in) in width. Incubationtakes 28 to 30 days with both sexes sharing duties, keeping the eggs warm by holding them on or under their webbed feet. It takes 28 to 30 days for the eggs to hatch, and about 63 days to fledge. After that, the juvenile leave the nest and gathers into small groups known as pods. The newly hatched chicks are pink and weigh about 60 g (0.13 lb). Within 4 to 14 days, they turn gray or black. After that, they develop a coat of white, black or grayish down. Fledging success may be as high as 100% for the first hatched chick, 60% for the second chick, and just 6% for the third chick. The parents regurgitate predigested food for the young to feed upon until they reach their fledging stage. After about 35 days, the young venture out of the nest by walking. The young start flying about 71 to 88 days after hatching. The adults remain with them until some time afterwards and continue to feed them. In the 8- to 10-month period during which they are cared for, the nestling pelicans are fed by regurgitated, partially digested food of around 70 kg (150 lb) of fish. The young reach sexual maturity (and full adult plumage) at anywhere from three to five years of age. A brown pelican has been recorded to have lived for over 31 years in captivity. Predation is occasional at colonies, and predators of eggs and young (usually small nestlings are threatened but also occasionally up to fledgling size depending on the size of the predator) can include gulls, raptors (especially bald eagles), alligators, vultures, fish crows, and corvids. Predation is likely reduced if the colony is on an island. Predation on adult brown pelicans is rarely reported, but cases where they have fallen prey to bald eagles have been reported. Also, South American sea lions and unidentified large sharks have been observed to prey on adult brown pelicans by seizing them from beneath while the birds are sitting on ocean waters. The invasive red imported fire ant is known to predate on hatchlings. Like all pelicans, brown pelicans are highly sensitive to disturbances by humans (including tourists or fishermen) at their nests, and may even abandon their nests. Due to their size, non-nesting adults are rarely predated. Brown pelicans have several parasitic worms such as Petagiger, Echinochasmus, Phagicola longus, Mesostephanus appendiculatoides, Contracaecum multipapillatum, and Contracaecum bioccai, from its prey diet of black mullets, white mullets, and other fish species. The brown pelican is now a staple of crowded coastal regions and is tolerated to varying degrees by fishermen and boaters. In the early twentieth century, hunting was a major cause of its death, and people still hunt adults for their feathers and collect eggs on the Caribbean coasts, in Latin American, and occasionally in the United States, even though it is protected under the Migratory Bird Treaty Act of 1918. The brown pelican is the national bird of Saint Martin, Barbados, Saint Kitts and Nevis, and the Turks and Caicos Islands. In 1902, it was made a part of the official Louisiana seal and, in 1912, a pelican and her young became part of the Flag of Louisiana as well. One of Louisiana’s state nicknames is “The Pelican State”, and the brown pelican is the official state bird of Louisiana. It is one of the mascots of Tulane University, present on its seal, and is also present on the crest of the University of the West Indies. The National Basketball Association (NBA)’s New Orleans Pelicans are named in the honor of the brown pelican. In the 1993 film The Pelican Brief, based on the novel of the same name by John Grisham, a legal brief speculates that the assassins of two supreme court justices were motivated by a desire to drill for oil on a Louisiana marshland that was a habitat of the endangered brown pelican. In 1998, American conductor David Woodard performed a requiem for a California brown pelican on the seaward limit of the berm of a beach where the animal had fallen. In the animated children’s film Finding Nemo, a brown pelican (voiced by Geoffrey Rush in an Australian accent) was illustrated as a friendly, virtuous talking character named Nigel. Since 1988, the brown pelican has been rated as least concern on the IUCN Red List of Endangered species based on its large range—greater than 20,000 km2 (7700 mi2)—and an increasing population trend. The population size is also well beyond the threshold for vulnerable species. The nominate race population is thought to number at least 290,000 in the West Indies, and 650,000 globally. In 1903, Theodore Roosevelt set aside Pelican Island, now known as Pelican Island National Wildlife Refugee, to solely protect the brown pelican from hunters. Starting in the 1940s with the invention and extensive use of pesticides such as DDT, the brown pelican population had drastically declined due to a lack of breeding success. By the 1960s, it had almost disappeared along the Gulf Coast and, in southern California, it had suffered almost total reproductive failure, due to DDT usage in the United States. The brown pelican was listed under the United States Endangered Species Act from 1970 to 2009. A research group from the University of Tampa, headed by Ralph Schreiber, conducted research in Tampa Bay, and found that DDT caused the pelican eggshells to be too thin to support the embryo to maturity. In 1972, the United States Environmental Protection Agency (USEPA) banned DDT usage in the United States and limited the use of other pesticides. There has been a decline in chemical contaminant levels in brown pelican eggs since then, and a corresponding increase in its nesting success. It became extinct in 1963 in Louisiana. Between 1968 and 1980, the Louisiana Department of Wildlife and Fisheries’ reintroduction program re-established the brown pelican, and its population numbers in California and Texas were restored due to improved reproduction and natural recolonization of the species. By 1985, its population in the eastern United States, including Florida, Georgia, South Carolina, Alabama, and northward along the Atlantic Coast, had recovered and the species was removed from the Endangered Species List. Its population has grown by about 68% per decade over a period of 40 years in North America, and this trend appears to be continuing. It is still listed as endangered in the Pacific Coast region of its range and in the southern and central United States. Although the United States Gulf Coast populations in Louisiana and Texas are still listed as endangered, they were recently estimated at about 12,000 breeding pairs. Publicado en Migratoria, PelecanidaeBookmark the permalink.